Solihull Sustainability Visioning Group aims; 'to help Solihull to be at the forefront of sustainable business development and a showcase for environmental business standards, supporting Solihull’s transition to a low carbon economy'. For more information, or to join the group, call 0121 704 6529 or email business@solihull.gov.uk. Business Council for Sustainable Development is the pre-eminent national business network run by businesses to promote the values of sustainable development and explore related business opportunities. Business in the Community are a business-led charity with a growing membership of 850 companies. Advising, supporting and challenging their members to create a sustainable future for people and the planet and to improve business performance. Environmental and efficiency advice from the Government's online resource for business. 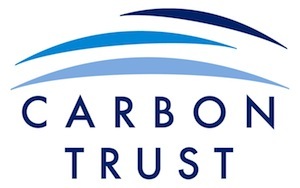 The Carbon Trust provides specialist support to business and the public sector to help cut carbon emissions, save energy and commercialise low carbon technologies. The Energy Saving Trust promotes the efficient use of energy and a more 'low carbon' lifestyle. They are the leading UK organisation set up to address the damaging effects of climate change by helping everybody to cut carbon dioxide emissions. It works with retailers, builders and industry to make sure that energy efficient products are available for people to choose. The principal aims of the Environment Agency are to protect and improve the environment, and to promote sustainable development. Their work plays a central role in ensuring central government's environmental priorities are implemented. They provides information on all the latest funding schemes to enable companies to become more environmentally friendly. Their website lists the funding on offer to boost businesses' bottom line by improving environmental performance. Formed in 1992, the MEBC is a not-for-profit business run by regional business people to promote the values of a low carbon, sustainable future and the business opportunities arising from that. It is a region wide, multi-sectored network that delivers an annual programme of activity and identifies and develops new projects. The overarching aim of the smarter working project in the West Midlands is to raise the productivity of organisations while reducing carbon emissions, through the collection of measures and initiatives which aim to change the way organisations operate. Sustainability West Midlands is the sustainability adviser for the leaders of the West Midlands. They are a not-for-profit company that works with their members in the business, public and voluntary sectors. Their role is to act as a catalyst for change through advice to leaders, to develop practical solutions with members and share success through communications. WRAP (Waste & Resources Action Programme) works with local authorities, business and households to prevent waste, increase recycling and develop markets for recycled and sustainable products. Read and learn more from some good practice examples supplied by Solihull businesses, together with general case studies from around the UK. If you are based in Solihull and have a sustainability case study that you would like to showcase, please fill out this form and send it to sustainabilityvisioning@solihull.gov.uk. The Princes Way office in Solihull comprises a modern office building and a multi-storey car park. During normal working hours there are typically around 400 to 500 employees on site. In order to improve the environmental impact of the office, npower installed a 50kW photo voltaic system. Birmingham Airport will save 22 tonnes carbon dioxide each year with the installation of 200 solar panels on the roof of its terminal. The 1.6m x 1m panels will generate 40,000 kWh a year; sufficient to power 12 average sized houses. In 2010, Solihull Council took the initiative to install Automatic Meter Reading equipment (AMR) to all gas and electricity meters in the School and Corporate property portfolio. The Arup-led CABLED project is the largest of 8 UK projects forming part of the Technology Strategy Board’s Ultra Low Carbon Vehicle Demonstrator programme. The installation of automatic shutdown controlls on the production line at Land Rover's Lode Lane Plant have resulted in significant energy and CO2 savings. Through their commitment to corporate social responsibility, Royal Haskoning worked in partnership with the Envionmental Champions Programme at Solihull Council to offer their employees the opportunity to help tackle local environmental issues. Birmingham Airport operates a Sustainable Procurement Policy: a commitment to follow the principles of sustainable procurement, where financial, environmental and social impacts are considered. Arup provided a range of engineering and design services for this groundbreaking 6.4 ha phased development of 345 mixed-tenure homes, in association with Metropolitan Housing Partnership and Mansell. Energy efficient lighting and the insatllation of passive infrared (PIR) detectors is offering big cost and CO2 savings for Land Rover. The brief for the new Arup regional office called for a comfortable, energy efficient and cost efficient workplace for over 600 people. Key principles of the design were to create a spatial organisation that is appropriate for the Arup group work style, a stimulating and healthy environment and a flexible and commercially viable building. Their case studies show it's often both easier and less expensive than you might think to bring about real change. Read and learn more about exciting Good Practice Examples from the West Midlands. Find the latest documents about the recycling industry and publications comissioned by WRAP, as well as technical reports from different projects and trials.